Cost Effective Tradie Websites. Look Professional. Work on all devices , Desktop or mobile. If you are a tradesman and just need a no nonsense, but great looking web presence that works well on desktop and mobile devices then this site might be what you are looking for. 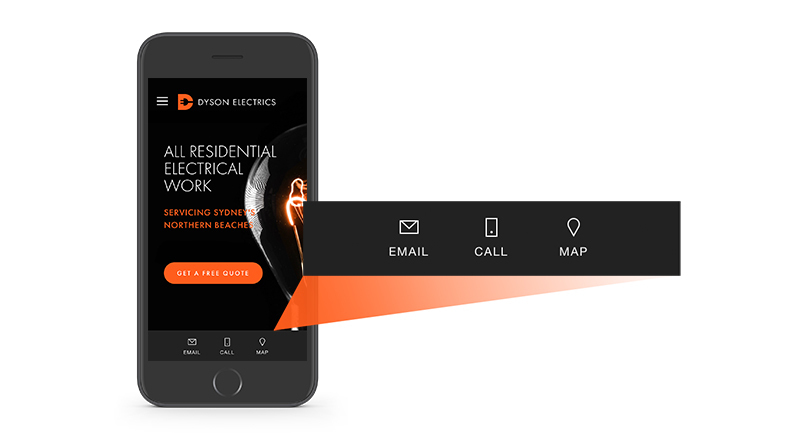 The demo site is clean, single page website design and logo branding for a fictitious electrical company, Dyson Electrics and can be adapted for any trade or in fact any small business. The site uses the Squarespace platform, one of the largest, most secure all-in-one web platforms out there. I can create a high-quality designed website for you using the layout I developed. I customise it for you adding your branding/logo colours, copy and imagery. If you don't have a logo, I can help with that too. I provide a start to finish service til the site is live and can redirect an existing website address or set up a new web address. Just leave it my hands and I'll produce a great looking site for you, while you get on with what you do best. The Mobile contact bar gives your customer direct links to your phone, email address, location with google map, even your trading hours. conveniently available on a bar at the bottom of their mobile device. You site will fully connect up with all your other social media accounts. You can import videos from your You tube. 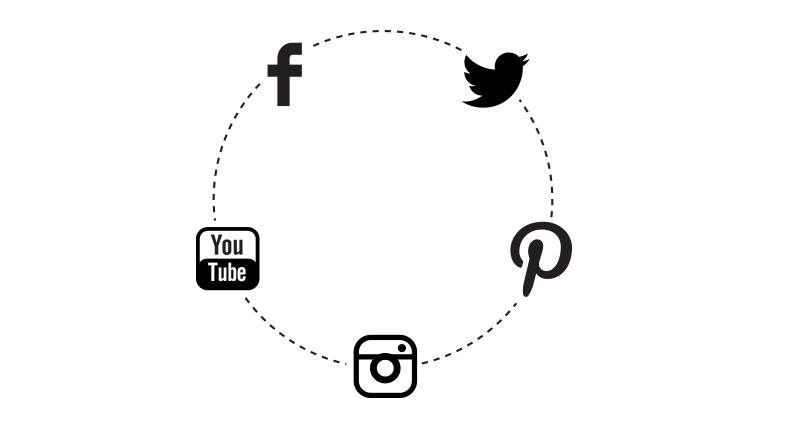 Display your social media feeds from Instagram and Twitter. 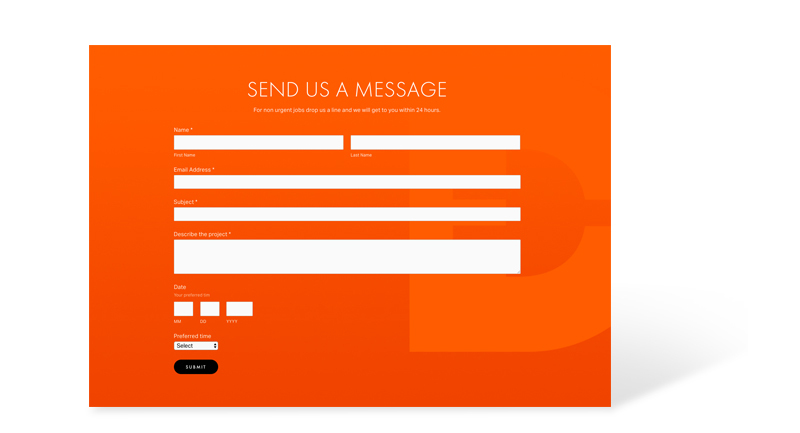 The contact enquiry form formats the message from the customer and sends it to you as an email and /or sends it to a google docs spread sheet. Add in interactive Google maps so your clients can find your business location ( if required). 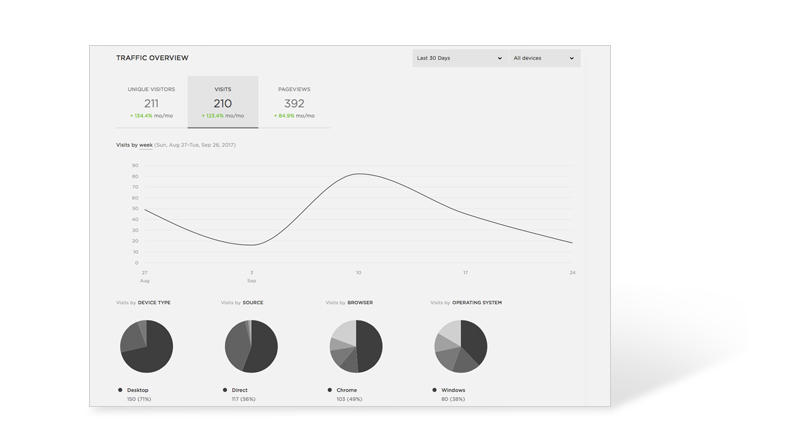 Squarespace has its own site performance analytics, so you can view how your site pages are going. You can also download the analytics app to view this from your phone. I work remotely with clients all around Australia everyday of the week. So distance is not an issue. (But you are welcome to drop by the office if you live local). Once we have costed your site, I need a 50% upfront deposit via Bank transfer to commence work, with the balance paid the day the site goes live. Your logo (if you have one, if you don't I can help with that) EPS format preferred. Site copy (Words about you, your services etc. I can help fix that up). Your own photos - I can treat, enhance and format your photos as long as the original is at a large enough size (2MB). Photos shot on a phone can work - but don't look as good as pro shots. Photos and videos can also be sourced from stock libraries at additional cost (approx $30 per image), if you have no photos. Social media user/passwords to connect up the site. ( you can change passwords after if concerned). Domain name hosting user/password, if we are transferring your existing domain. You will get access to the page to review and provide any feedback. Once we have finalised the site, I transfer ownership to you and you enter your credit card details in Squarespace. The site goes live! Happy days. If would like to find out more.